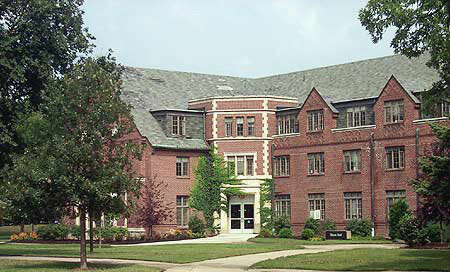 CENTRAL MICHIGAN UNIVERSITY (CMU) was founded in 1892 and is now among the nation’s 100 largest public universities. Classified as a Doctoral Research university, CMU is an accredited, student-centered university that offers a superior learning environment to prepare students for meaningful involvement and professional accomplishment in today’s knowledge-based society and global economy. 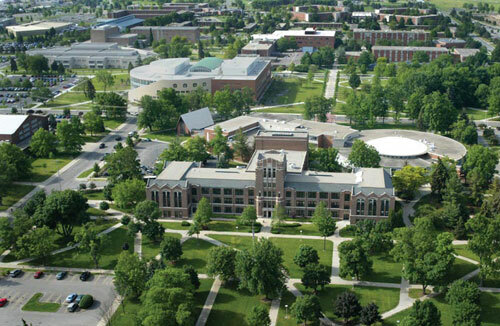 Central Michigan University empowers students with more than 70 graduate degree programs at the master’s, specialist, and doctoral levels, and provides graduate certificate options within many disciplines. Students enjoy direct contact with faculty mentors, flexible graduate program plans, convenient class locations and scheduling, and state-of-the-art library and research facilities, all within a comfortable learning environment. 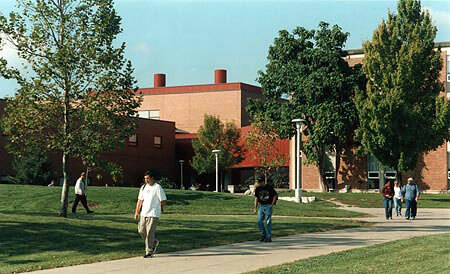 CMU’s campus is comprised of 480 landscaped acres within a classic American university town. The community is friendly and students enjoy walking both on and off campus, attending concerts, theatrical productions, and sporting events, and visiting nearby dining and shopping facilities. 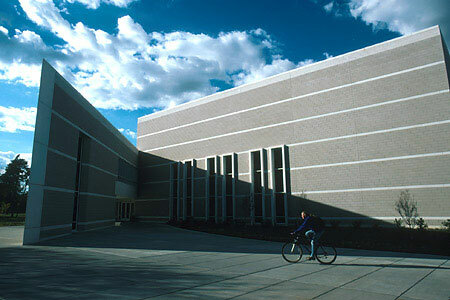 Campus aesthetics are a blend of 19th, 20th, and 21st century architecture, and include the new College of Education, College of Medicine, Graduate Housing Complex, and the Biosciences Building currently under construction. 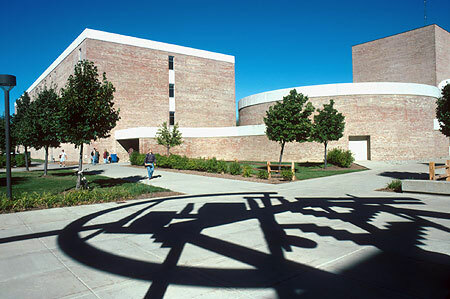 At the center of campus is the state-of-the-art Park Library, featuring open-access computers, work stations, and meeting rooms, 1.3 million printed volumes, moveable shelving, and a full complement of digital and online resources. 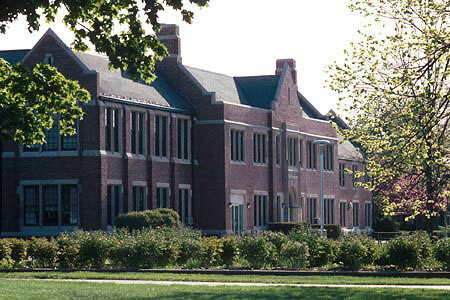 Central Michigan University serves more than 28,000 students, including 21,000 on the main campus in Mount Pleasant, Michigan. CMU is nationally recognized for academic excellence, supports over 40 Global Campus locations, and is engaged with partner institutions around the world. A limited number of academic programs and supplemental coursework are available online. M.A. : Broadcast & Cinematic Arts (Electronic Media Management, Electronic Media Production, Electronic Media Studies, Film Theory, and Criticis), Communication, Counseling (Professional, School), Cultural Resource Management, Early Childhood Education, Economics, Educational Technology, English Language and Literature (ELL, Children’s & Young Adult Literature, Creative Writing), English: Composition & Communication, Exercise Physiology, Higher Education Administration, History, Joint History: Comparative & Transnational History, Humanities, Mathematics, Political Science, Psychology: Industrial & Organizational, Political Science, Reading & Literacy (K-12), School Principalship, Spanish, Special Education, Speech-Language Pathology, Sport Administration, Teacher Leadership, Teaching English to Speakers of Other Languages (TESOL). M.B.A.: Business Administration (with ten concentrations). M.M. : Composition, Conducting, Music Education, Performance. M.P.A. : Public Administration, Public Management, State & Local Government. M.S.A. : Administration: Acquisitions Administration, Engineering Management, General Administration, Health Services Administration, Human Resources Administration, Information Resource Management, International Administration, Leadership, Philanthropy & Fundraising, Public Administration, Research Administration. M.S. : Apparel Product Development & Merchandising Technology, Applied Statistics & Analytics, Biology, Biology: Conservation, Chemistry, Teaching College Chemistry, Computer Science, Engineering, Geographic Information Sciences, Information Systems (MSIS), Neuroscience, Nutrition & Dietetics, Physician Assistant, Physics, Psychology: Experimental. D.E.T. : Educational Technology (pending HLC approval). Ph.D.: Earth & Ecosystem Science, Educational Leadership, History, Mathematics, Neuroscience, Psychology (Applied Experimental, Clinical, Industrial & Organizational, School), Science of Advanced Materials. Spsy.S. : Psychological Services: School Psychology. GRADUATE CERTIFICATES: Acquisitions Administration, Autism, Citizen Engagement, College Teaching, Cultural Resource Management, Data Mining, Educational Technology, Engineering Management, European History, General Administration, Health Services Administration, Health Systems Leadership, Human Resources Administration, Information Resource Management, International Administration, International Health, Leadership, Modern History, Nutrition & Dietetics, Philanthropy & Fund Raising, Professional Development in Public Administration, Public Administration, Research Administration, United States History. ONLINE GRADUATE CERTIFICATES: College Teaching, Cybersecurity, Engineering Management, ERP using SAP, General Administration, Health Systems Leadership, Human Resources Administration, Information Resource Management, International Administration, International Health, Leadership, Logistics Management, Philanthropy & Fundraising, Public Administration, Recreation & Park Administration, Research Administration. ONLINE DEGREES M.A. : Education (Curriculum & Instruction, Training & Development), Educational Leadership (Charter School Leadership, Rural Education Leadership, Supervision, Virtual Education Leadership), Educational Technology, Reading & Literacy K-12. M.B.A.: ERP/SAP, Human Resource Management, Logistics Management, Marketing, VDO. M.S. : Nutrition & Dietetics. M.S.A. : Administration (Engineering Management, General Administration, Human Resources Administration, Information Resource Management, International Administration, Leadership, Philanthropy & Fundraising, Public Administration, Recreation and Park Administration, Research Administration]. Ed.D. : Educational Leadership, Educational Technology, Health Administration. Standard tuition rate per credit hour: In-state: $548 Master’s/Specialist; $627 Doctoral Non-resident: $819 Master’s/Specialists; $906 Doctoral Some exceptions may apply. Special military and U.S Veteran rates are available. Tuition award programs include Legacy Tuition Award, Non-Resident Merit Award, and Neighboring Regions Award.